PHOENIX – When a statewide emergency strikes – like a major flood or wildfire – emergency personnel have traditionally relied on radio and broadcast television to communicate quickly with the public about where to go and what to do. But those emergency broadcasts often didn’t include interpreters or closed captioning, meaning the 1.1 million deaf or hard of hearing residents in Arizona may not have received those critical messages. Maricopa County wants to bridge that communication gap. County officials have contracted with American Sign Language interpreters and Communication Access Realtime Translation captioners to provide their services during times of county or statewide emergencies. Julie Stylinski, client services program director at the Valley Center of the Deaf, said it’s a good idea because many deaf people know English as their second language and sign language as their first. In addition to television and radio alerts, the county also uses a reverse 911 system. Emergency responders have increasingly relied on social media to disperse messages as well. However, some communication mediums such as Periscope, Snapchat, Instagram and Facebook Live videos rarely have closed captioning. While these new social channels allow communicators to reach more viewers than ever, they do not always address the needs of those with hearing impairments. Joey Ponte, coordinator of vocational services at the Valley Center of the Deaf, said these services will give deaf people more accessibility. “When a deaf person is on Facebook Live, we can see them signing, but when a hearing person is on Facebook Live or something (is) happening on the news, (then) sometimes we miss it,” Ponte said. Maricopa County is the first county in Arizona to address this issue. Interpreters and captioners have been hired to provide their services for public meetings, media briefings and informational videos, in addition to any large-scale disasters or emergency messages that go out via media broadcasts, social media and websites, Bond said. For example, if a wildfire hit northern Arizona and the governor declared a state of emergency, workers would set up a communication area. “There’s a lot of information going out from the camp via social media, via websites at various news (outlets) as well and so all of that information just needs to be accessible for the community,” Bond said. Bond said the funding for the 11 interpreters and three captioners essentially comes from taxpayers. If the county responds, the county will pay for the services. If the state gets involved, the state or county could pay. Emergency officials from the Arizona Department of Emergency and Military Affairs, Forestry and Fire Management and Maricopa County Department of Emergency Management partnered with the deaf and hearing commission to launch a three-day training program. About $5,000 in federal grants funded the program. The training included lessons in disaster and emergency terminology, how to work with public information officers and a quick tutorial on emergency management basics. Bond said they also expect to train workers in Pima County this year. They have not used the services in an event. 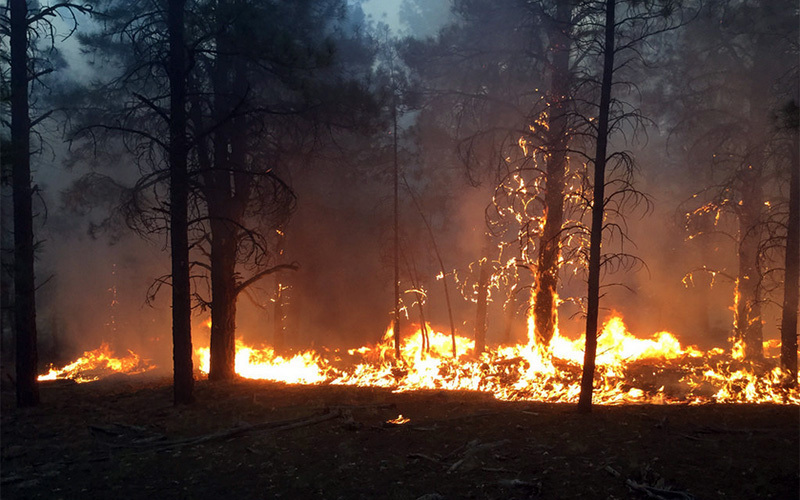 However, Bond said she expects the need may arise during wildfire season this spring.